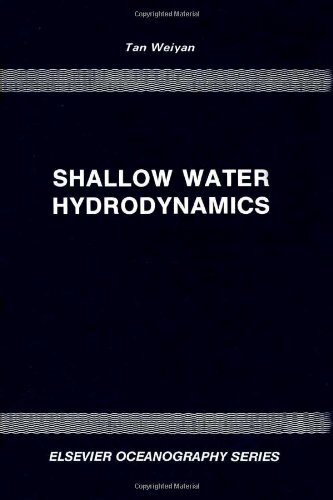 Shallow water hydrodynamics : mathematical theory and numerical solution for a two-dimensional system of shallow water equations / Tan Weiyan. 10^aShallow water hydrodynamics :^bmathematical theory and numerical solution for a two-dimensional system of shallow water equations /^cTan Weiyan. ^aBeijing, China :^bWater & Power Press ;^aAmsterdam :^bElsevier ;^aNew York, NY :^bDistribution for the U.S.A. and Canada, Elsevier Science Pub. Co.,^c1992. ^axiv, 434 p. :^bill. ;^c25 cm.